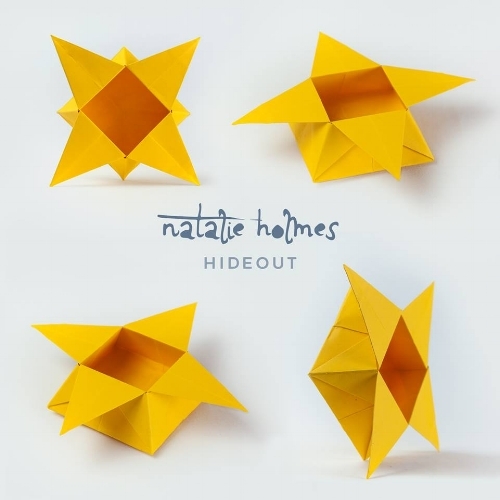 the Bristol-based songwriter Natalie Holmes about her latest single, Hideout. 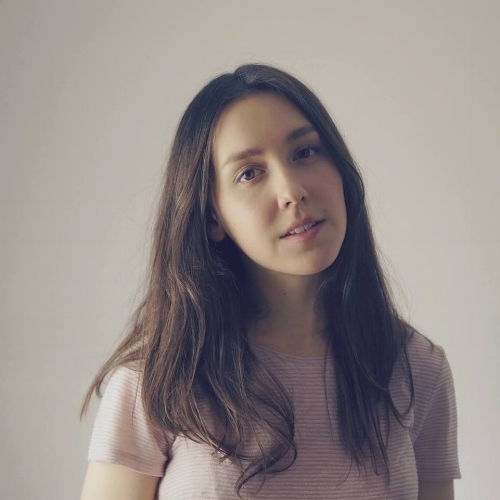 She reveals its background and reveals where she gets the energy to keep putting out material – she has released four successful E.P.s and shows no signs of slowing! Holmes chats about Bristol and which musicians she is influenced by; what is coming up in terms of gigs; which upcoming artists we need to look out for; the advice she would give to musicians emerging – she ends the interview by selecting a rather underrated gem. Hey! It’s been a bit of a mad one, actually. I’ve been working on a few top lines for some D.J.s; trying to get them all finished, recorded and sent over from the ‘studio’ (bedroom) whilst having a messy insomnia stint and working at the coffee job! But, the plan was to get it all out of the way and allow headspace for the release this week; so, mission accomplished! Of course! My name is Natalie Holmes; I live in Bristol (U.K.) and am a singer/songwriter/musician/food nerd. Hideout is your new single. What is the story behind it? Hideout represents quite a small window in my life. I was battling with a relationship trying to make it work on and off for over a year. There was always something that pulled us together despite all the things that were clearly very wrong and I felt like my true self had to hide away. On one of the occasions, when we started over, I had an overwhelming sensation that everything was OK now and I wanted to combine this with my increased detachment with material objects. So, Hideout is about realising you don’t need any of the temporary things you think make you happy. At that moment, all you need is the universe and the person that makes you happiest. You lose the walls around you. Might we see more new material a bit later in the year? Definitely. I have a feeling Hideout is just the beginning of a new wave of love for what I do and the boundaries I can push with it! There’s so much more to come. You have already released four successful E.P.s. Where do you get the energy to keep putting out amazing material?! Well, ‘amazing’ is a generous word to label everything I’ve released, but thank you! I’ll be honest: I can’t reign in the amount I write; I’d have twenty E.P.s out if it was that easy! But, I suppose, as a songwriter, you really want to get your best songs heard so releasing anything and everything would drown them out. It took a long time to pin down the songs that ended up on my E.P.s, but I don’t regret any of them. I think energy is something that comes instinctively with a song you’ve written and love - you can feel when it’s right...and the excitement and adrenaline push you through everything that comes with it. How do songs come to you? Will you sit and write or let inspiration strike? It doesn’t take much for something to hit me hard and I’ll be scribbling down words and phrases or singing into my phone wherever I am. However, on the occasion that I’ve had a quiet few weeks in my head, I’ll just sit and play the piano and see what comes. Sometimes, that’s inspiration enough! If I had a real acoustic piano, I swear I would write two songs a day - the feel and sound of it make my whole being melt. Which musicians did you tune into from a young age? Was there a single artist/moment that inspired you to get into music? This question always makes me nervous as I don’t have the typical answer of being inspired by ‘classics’ that I was brought up on as a baby. My family aren’t particularly musical at all, but I am so grateful they put me in piano lessons when I was tiny. But, yes, I’m afraid to say I definitely grew up on S Club 7, Paramore and Avril Lavigne and only found out who Joni Mitchell was when I was in my twenties. It’s shameful. I was simply inspired by snippets of everything. I still listen to Let Go by Avril Lavigne now and am like: ‘Damn; these are great songs!’ The first couple of artists I began to idolise were Sara Bareilles, Ellie Goulding (first album) and Bon Iver. However, in the last two years, I’ve been hit with a wave of artists that have really touched and inspired me on a whole new level; notably, Laura Mvula, whose music I fell in love with just before I wrote Hideout. How important are Bristol and its people regarding your music? I’ve never thought about that! I’m determined to stay in this absolutely glorious city for its positive, creative and earthy vibe. I feel grounded here, despite having moved house three times in the past year. However; I like to focus on the feeling that I could be OK anywhere, that my happiness isn’t because of the place I exist; or else I’d be leaving it behind extremely often! I feel lucky to have this beautiful place around me but feel like it’s more for the non-musician in me: it’s my escape when I need to get out and breathe, see friends; eat amazing food and visit all the wonderful independent business owners. It’s an unusually magical city community that I avoid tying in too much with work. Saying that; I have incredible support here from friends and family as well as from the local radio and BBC Introducing. I never fully realise how many people in this city are supporting my music. We are booking a band tour for the end of October! Dates aren’t set in stone yet but I know we are; starting at The Globe in Hay-on-Wye on 19th October, followed by dates in Bristol, Winchester; Birmingham, London; Leeds and more. I’d love for Hideout to be the song that really gets out there and is heard. It feels like the right time and the right song as I’m so happy with the balance of commercial and musical traits in it. It would be so amazing to tour in October and sell out some venues: I really can’t wait for the day I can play a gig and feel a room completely full of people who are there fully to support me! There’s nothing quite like that chemistry. There are so many! The one that is going to stick with me forever is getting the opportunity to tour with Above & Beyond, as their vocalist, on their world tour. It was singing in front of a sold-out Hollywood Bowl and Royal Albert Hall that showed me the enormity of what you can feel on stage; when there are THAT many beaming smiles in the audience and everyone is so together. I would LOVE to tour with Sara Bareilles, Laura Mvula; Aurora...all artists that I truly believe in and admire. I imagine these girls are all insanely wonderful human beings too. This takes time. I started uploading videos of me singing on YouTube in 2010. It’s taken me eight years to get to this point and I still haven’t ‘made it’. It’s really tough seeing other artists around you get their lucky break and you feel like you must be doing something wrong or you’re not good enough. But; the way I think of it is the longer it takes, the longer you’ve got to grow in your own person and really appreciate being young whilst carving your music into something you’re truly proud of. Then, when the world finally hears you, you know you did your best and you can be truly proud. I’m not sure about ‘new’ in the general sense, but artists that I’ve been really into lately that are slightly less in the limelight would be: Francis and the Lights, LP; Martin Luke Brown and Balmorhea. Time for other things has become increasingly less since I moved out of my parents and have been tackling the R-word. However, I make sure I always make time for myself as it’s just so crucial. I love food, a lot, so either cooking or exploring the Bristol food and drink scene! Lately, I’ve been really struggling with insomnia and time away from music has been diminished as I’m finding less and less time where I’m actually functioning to get things done. I can’t count the days of no sleep as healthy downtime as it’s the one thing in my life that my brain can’t battle and it definitely isn’t refuelling. Then, when I have a night of sleep, I’m like: ‘I must get everything done today whilst I have the mental capacity, just in case!’ But, on a whole, mental and physical wellbeing is hugely important to me and I make sure I get out and about on my bike whenever I can to break up the hours spent inside recording, writing or doing admin. Ooh, yay! As I mentioned her before; can you play Tokyo Sunrise by LP? Thank you!